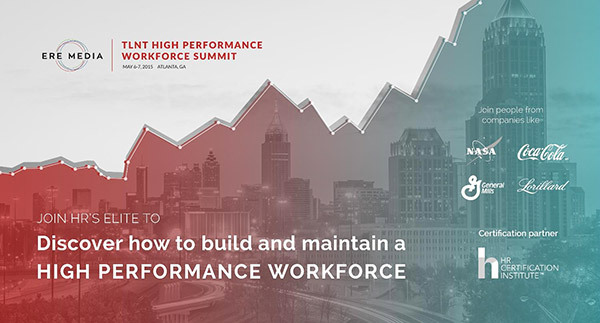 This is a big week, because it is the last week for you to take advantage of our early bird rate and get $300 off the regular price to attend TLNT’s High Performance Workforce Summit in Atlanta May 6-7. As someone who has attended literally hundreds of HR and talent management events over the past 10 years, take it from me when I tell you that there is an incredible sameness to so many of them. It’s the same speakers talking about the same general topics that don’t do much to enlighten, intrigue, or educate you. That’s not what TLNT’s 2015 High Performance Workforce Summit is about. We have gone overboard to bring you fresh and insightful speakers who will give you specifics from their own experience on a highly critical talent management topic — how to build, grow, and retain a high performance workforce. Last year’s HPW Summit received some of the highest attendee ratings we have ever seen for an ERE Media event, and we expect this year’s conference in Atlanta to generate equally high marks — or better. It’s simply something you MUST attend if you want to build a better workforce. What other conference gives you the Chief Human Capital Officer at NASA (Jeri Buchholz)? Or, the Chief Human Resources Officer & Chief Diversity Officer for the American Bar Association (Dr. Valeria Stokes)? Or, a CHRO for the State of Arizona (Colleen McManus), or for Schnitzer Steel (Belinda Hyde)? We designed the High Performance Workforce Summit to highlight and feature great talent management professionals from high performing organizations that you don’t see on the HR speaker circuit. These are people who deal with the challenges of building and maintaining a high performance workforce day in and day out. You will get great insights from talent management leaders who have struggled with the same issues you may be facing — and they have specific solutions and examples from their own experiences that will help you with your own talent management challenges. Not only will you hear from sharp talent management leaders in Atlanta, but you’ll also get well-known HR thinkers and thought leaders too. I’m talking about people like Dave Ulrich, described by the Harvard Business Review as “one of the world’s leading human capital/HR experts,” who is a Professor of Business Administration at the University of Michigan and best-selling author of books such as The Why of Work: How Great Leaders Build Abundant Organizations; and, HR from the Outside In: Six Competencies for the Future of Human Resources. The HPW Summit will also have Dr. John Sullivan, a professor of business at San Francisco State University and a guy who was labeled “the Michael Jordan of hiring” by Fast Company magazine. He’s renowned as a provocateur and strategist in the field of human resources and talent management who specializes in smart HR strategy and designing world-class HR systems and tools for Fortune 200 firms. Best of all, he’s never, ever been shy about telling it like it is. These are all great reasons you should attend TLNT’s High Performance Workforce Summit May 6-7 in Atlanta, but here’s one more: if you move fast you can still take advantage of our early bird rate and get $300 off the regular price to attend the High Performance Workforce Summit. Our early bird discount expires this week! That’s a great bargain that you can’t afford to miss, but you need to move fast because it expires on Jan. 30. So, you need to move now because you’re running out of time to take advantage of the early bird rate to attend next May’s High Performance Workforce Summit May 6-7 at the Omni CNN Center Hotel in Atlanta. I know you’ll be kicking yourself if you miss this great event. PS — Want to get started on growing your own high performance workforce today? 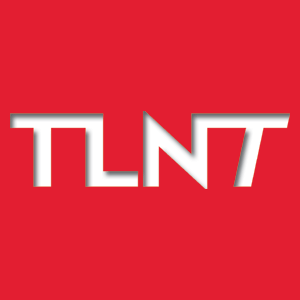 If so, then check out our free TLNT whitepaper on the 3 Essentials to Building and Maintaining a High Performance Workforce.